Hello all! 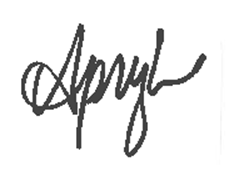 Apryl with the Design Team with you today to share my latest project with Simple Stories Love and Adore collection. 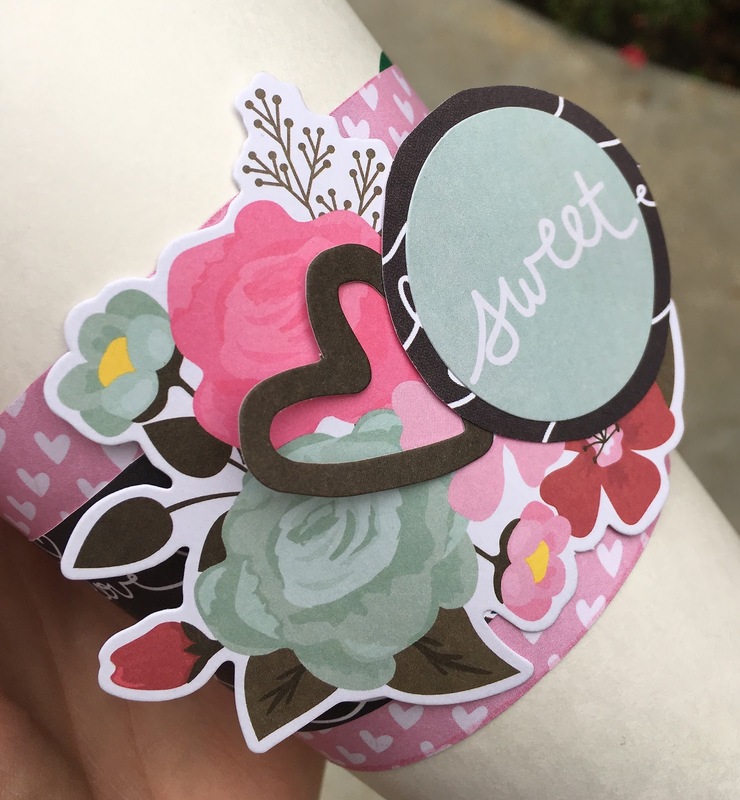 This project is in honor of Random Act of Kindness week. It just takes a small act of kindness to make someone's day, make them smile, or to alter their path in a better direction. Really it doesn't take much time or effort to be kind. I always tell my kids, "it takes more energy to be mean that it does to be nice". What simple things would make your day? For me, it's a cup of coffee. I love coffee. I really do and just a simple cup of coffee could put a smile on my face. 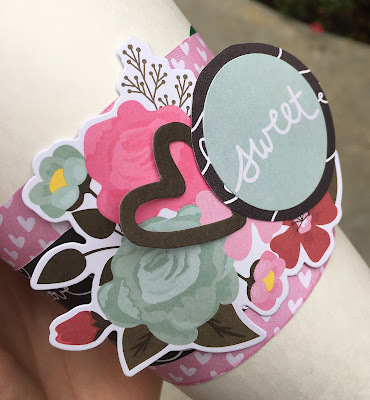 I made this custom coffee cup sleeve with cute embellishments from the Love and Adore collection. Here's a close up. Don't you love that little heart <3. It's a great decor piece for my coffee bar and makes me smile even more. 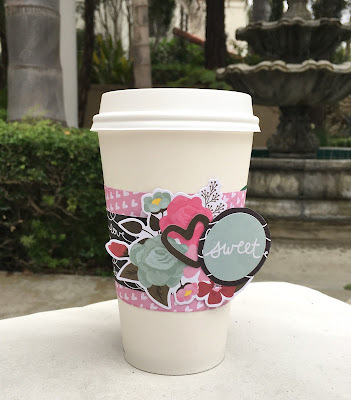 If you're out today, buy a suspended cup of coffee for someone who'll need it later to warm up. If you haven't heard of this, a suspended cup of coffee gives a homeless person a hot cup of coffee if they need it. They can go into a coffee shop and ask for it, no questions asked and it may just be what they need to get them through that day. And it doesn't just work for coffee. You can do it at sandwich shop or any food establishment that supports such acts of kindness.